Based on the Channel 4 series, and presented by the show’s host Kevin McCloud, Grand Designs Live is a multi award winning event that offers visitors top expert advice, new product launches and specialist exhibitors in six different project zones, and we were very happy to be a part of the Smart Kitchen exhibition at this year’s event in London. Grand Designs Live has established itself as the UK’s leading consumer show for self-build and design, showcasing the latest innovation for the home and provides a perfect opportunity to showcase products directly to a captive audience who are committed to spending money. Once again we gained a lot of great feedback and were lucky enough to be visited by the Honourable Baroness Verma of Leicester, who gave us a great tweet! With over 100,000 visitors and a lot of fantastic and exciting products on show at Grand Designs Live, it was very exciting for Enviro-Cool to be so well received. A long established trade event, Hotelympia is one of the country’s biggest hospitality trade exhibitions, providing a platform for restaurants, hotels, pubs and caterers to meet, review and source from the finest suppliers available in the market. For more than 80 years, Hotelympia has been at the forefront of innovation and progression within the UK hospitality and foodservice industry - attracting over 26,000 visitors and senior buyers from across the industry, Hotelympia provides a fantastic opportunity to showcase new technology. 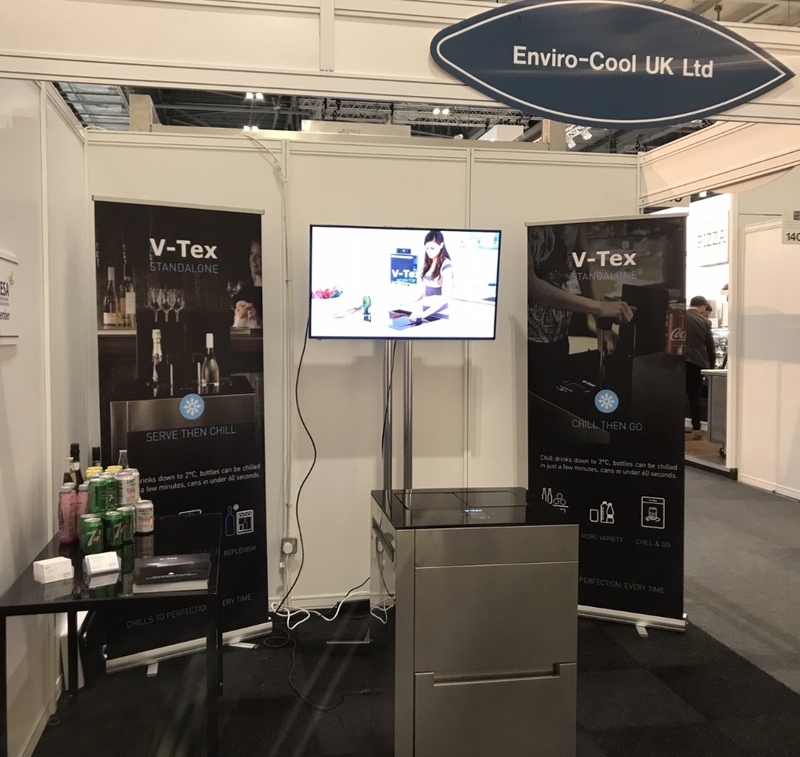 Enviro-Cool has been very well received at this year’s event in London, and has received a wealth of positive and exciting feedback from the industry professionals at the forefront of hospitality innovation. LVMH selected 32 startups as finalists to join the LVMH Lab at the 2017 edition of Viva Technology. Enviro-Cool was chosen as one of the 32 finalists from more than 500 shortlisted candidates from across the globe to compete for the newly created LVMH Innovation Award.